Daily Psychazoid "Read my book." Join the Get Psyched mailing list! 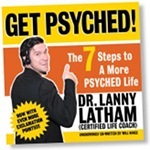 Buy the Get Psyched! Book!